Bears football finally tallied a win this weekend, defeating the University of Regina Cougars in a 19-18 nailbiter. Capitalizing on three Regina fumbles, rookie Bears kicker Brent Arthur split the uprights with 18 seconds left in regulation to seal the one-point victory. Arthur was named Canada West Special Teams Player of the Week. Now 1-5 on the year, the Bears are on the outside looking in on the Canada West playoff picture, but hope to end their season on a high note. Their final home game and penultimate matchup of the season comes this Saturday at 1:00 p.m. against the University of Manitoba Bisons. The Pandas finished their season 2-2 after a 52-12 loss to the University of Calgary Dinos on a cold night last Saturday. 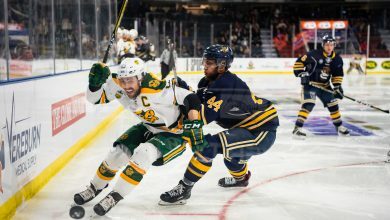 Despite the loss, Alberta will face the University of Victoria Vikes in the Canada West semi-final playoff game this Friday at 3:00 p.m. A win would put the Pandas into the gold medal match on Saturday, a loss will relegate them to the bronze medal game on the same day. The Puck Bears’ season opened their season with a split series against the University of Saskatchewan Huskies. 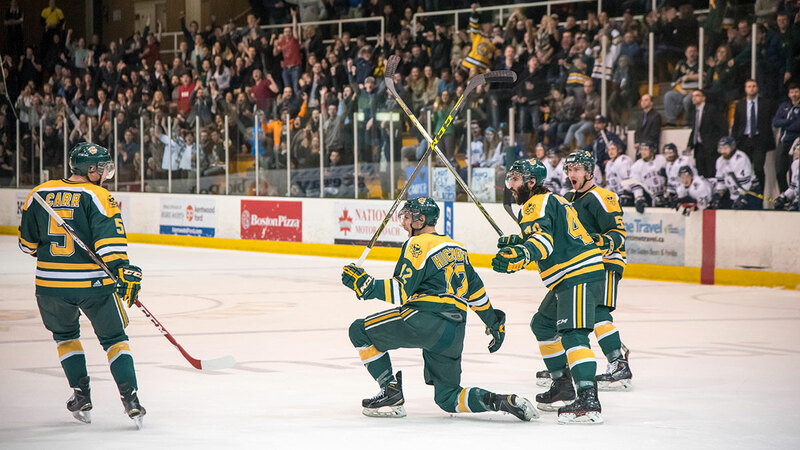 In Friday’s rematch of last year’s Canada West Finals, the Bears came from behind, with fourth-year forward Jamie Crooks scoring with 9.8 seconds left in regulation and again in double OT to give the Bears the 3-2 win. On Saturday, it was the Huskies who scored twice in the third period to edge the Bears 4-2. This weekend, the Bears will travel to Vancouver for a two-game road series against the UBC Thunderbirds. In the second weekend of their season, the Puck Pandas lost twice to the Huskies on the road in Saskatoon. With two straight 2-1 OT losses, the Pandas move to 2-0-2 on the year, and will host the UBC Thunderbirds this week at Clare Drake. Despite suffering their first loss of the season last weekend, Bears soccer clinched first place in the conference and a playoff spot. Saturday’s match saw the Bears lose a tight 1-0 match versus the University of Lethbridge Pronghorns. 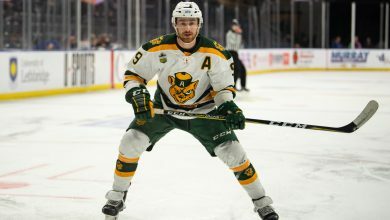 The Pronghorns were only the second team to shut out the high-powered Bears offence this year. Sunday’s game saw the Bears bounce back with a 2-1 win against the Huskies at Foote Field. The Soccer Pandas romped through the competition this weekend, outscoring their opponents 11-2. Third-year striker Sydney Daines netted four in a 5-2 win against the UBCO Heat, and was one of five Pandas who found the twine in a 6-0 victory over the TRU WolfPack. In the final weekend of their season, the Pandas will be on the road for two games against Mount Royal and MacEwan.